Explore the Great Lakes and our featured Fishing Destinations that can ensure the best possible fishing experience in the mid-west. John's 18 year career as a professional fisherman shares his experience to help your fishing adventure become a success. The Great Lakes Region offers a fishing adventure during each season. Winter is an especially exciting time to catch some fish. Plan for some breathtaking views when you visit our Destinations that we have carefully selected for you to visit and enjoy. When you come to experience our Destinations, you can expect great fishing, excitement, great food & lodging, along with tranquility. Watch the "Fisherman's Digest" TV show. Availably Locally and Nationally on these networks and times. Set your DVRs. After the last cold front and high winds the river started to clean up today. Lots of fishing opportunities throughout the river. Mid river from Wyandotte to the steel mills was good mid river along the mud line. The upper river was good from the Ren Cen to Belle Isle. Canadian waters have intermittently cleaned up giving anglers opportunities for quality catches. Black and antifreeze jigs with dark or natural plastics have been best. Water temp 40.5. Very light bite so tipping with a Minnow a must. Walleye are starting to move into the river. Active fish found throughout but best fishing found near Wyandotte and mouth of Lake St Clair. Water temp 37 degrees so tipping with Minnows has been helpful. Canadian water still really stained. Fishing is getting better every day. Fall bite is in full swing!! Great walleye jig fishing in both the Detroit and St Clair rivers. Trolling walleye in Lake Erie and Saginaw bay also picking up when the weather allows. If its to windy try perch fishing on the inland lakes or riversPerch in breast bay 15-20 fow strait out from SSP has been good. Muskie casting on lake St Clair has been excellent. Fishing is still on fire in St. Clair River! 3 oz bottom bouncers with D & B Custom Crawler harness blades drifting or slow trolling with the current. Willow leaf blades in purple and copper and Indiana blades in silver. Areas that have been hot: in front of State Park, North Channel and South channel. Depths can vary but lots of fish in 34-45 feet of water. 6/22/18 lake St Clair / Detroit River evening trip. Brad wanted a muskie to knock it off his bucket list. After our diner at Sindbads we hit Lake St Clair and went 1/3 on muskie. Then we hit the river to pick up some walleye. Another great time on the best fishery around !!! Fishing is still great. Jig bite on the upper river has produced easy am limits. Evening bite had been tougher but still getting them. Muskie jigging has also been good. Lake bite also on fire. 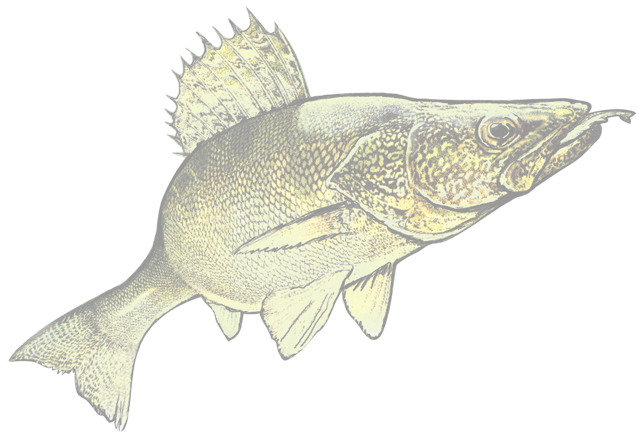 Limits of walleye trolling deep diving bandits or husky jerks. Muskie casting and trolling near the Thames has been good. Post spawn smallmouth in 10-14 fow is producing. May is the new April. Walleye fishing better than ever. We’re catching limits each time on both sides of the river.Bigger fish taken in Canadian waters.Get out and experience Detroit in short sleeves.Greens,reds and purple plastics have been best. Fishing is on fire. Fish found throughout the river. endless eaters out deep. Water temps in the high 40's. Best fishing found along the Canadian shore. The mouth of the St Clair river has been HOT. Green or anti freeze jigs and soft plastics has been great. Quick limits has been the norm. Stay vertical, stay warm & catch limits! St Clair river fall jig bite is picking up. Good mix of eater size males with the occasional female mixed in. Fished from the Black river to the mouth of Lake Huron. 35-45 fow on both the Canadian and American side produced fish. Best baits where 1-1.5 oz antifreeze jigs with a natural minnow bait on the back. Stinger hooks were a must during non peak hours. Walleye fishing has been great in the upper river. Good numbers on the Canadian side in 30-35 fow. Caught fish from the casino to mouth of the river. Cold nights had dropped the water temps in the low 60's. But the last few days of heat have stopped the perch migration, they are still holding in deeper water. Weeds have started dying off and perch will begin moving towards the shallows & their fall patterns. October will be awesome! Muskie trolling and casting has been very good east of the dumps. Normal baits and patterns. The Walleye jig bite has been great at the mouth of the Detroit river. Try the St Clair combo for the next month, jigging the mouth in the mornings for a couple hours and do Musky in the late mornings and afternoon. Muskie fish is hot !!!! Casting and trolling is both producing. Find the off colored water and the Muskie have been there. 15 feet of water and deeper has been good. Bass fishing along the channel in 14-18 fow has been good. Limits of perch caught near the dumping ground. Bass fishing has been great. Tubes and cranks in 8-12 fow. Lots of big fish caught. Walleye on crawlers and cranks from the dumps to the Thames river has been good. Easy limits on the Canadian side of the river. From the mouth of lake st Clair to the ambassador bridge. 30-40 fow. Pick your favorite color cause there all working. Well the walleye are still in the river but there is a lot of very small fish to sort through. If you are a white bass fan then you will be happy. If you like white bass the Detroit river is got em! In spite of the wind and rains, the Detroit River remains HOT! Limits are the norm for the next 2 weeks as this is prime time for this bite. Very little has changed for the past week. The presentations are still jigs but it does seem that the Wyandotte to the mouth of St. Clair has been best, 25-50' on either side of the shipping channel has been really productive over the last couple days. 3/4 to 1 oz jigs are necessary in the wind. The Detroit river is flaming hot right now. The upper half from the mouth of Lake St. Clair to mid-river is filled with really nice fish. Both sides produced well over the past few days. Jigging an anti-freeze colored jig with a dark colored Wyandotte worm was clearly the best presentation for us, we did catch a fair number on the silver fleck shad colored minnow. For those of you who love the action of white bass, that is also starting to go a little bit. We caught 50 in one spot in a short amount of time, but this will get better in May. Look at the fish that Eric and his groups caught over the last couple days. If your looking for a great charter then call Eric 248-343-8863. The high winds last week made the fishing conditions tough. However this past Saturday and Sunday the upper river started to kick out some nice eater sized fish. Brightly colored jigs and either black, blue or chartreuse worms were the best. This week I predict that the bigger fish will start to really bite as the weather stabilizes. The next 2 weeks are going to be "Prime Time" on the Detroit River. Look at these nice fish boated by Eric Long and his guests this past weekend. Eric runs Long Lines Charters if you are looking for a trip.